Continuing our series on fabric, in this post we’ll be focusing on cotton. Cotton is by far the most common material used in home sewing. It’s usually inexpensive and comes in a wide array of colors and prints. Chances are good that you’ve already sewn with several types of cotton fabrics. 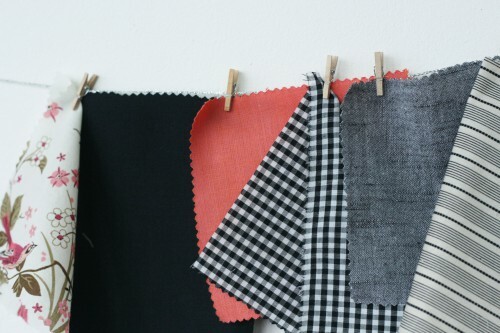 Even if you feel you have cotton nailed down, take a look at these different fabric descriptions. You may learn something new! We recommend pre-washing all cotton fabric at least two times. Unless your cotton fabric is a blend or extremely delicate, put it in the dryer at least once. This will shrink the fibers. Better to shrink the fibers on purpose before sewing than shrinking your new garment in the dryer by accident. Cotton is very sturdy and can withstand much washing and drying. However, we highly recommend hanging your garments to dry rather than using a dryer. This extends the life of your garment regardless of the fabric content. Voile (rhymes with oil) and batiste are commonly made of 100% cotton. Both are very thin and semi-sheer fabrics. They’re often considered interchangeable but a key difference between the two is voile’s crisp hand. Cotton batiste is often used as an underlining because it’s a soft, breathable fabric. 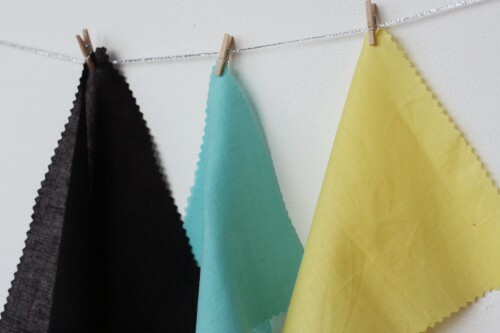 Both voile and batiste are used as apparel fabrics. When made into a garment these fabrics must be layered or lined because they’re so thin. These thin fabrics work well in clothing that flows, so stick to dresses and skirts without too much structure. Simple shirts look lovely but must be lined or worn with a cami since the fabric is semi-sheer. Staystitching is incredibly important due to the loose weave of these fabrics. So be sure to stay stitch any curves once the fabric has been cut. Quilting cotton is a hot topic with many opposing views. Who knew such a simple fabric would become a sewing controversy? Quilting cotton refers to fabric made specifically for, you guessed it, quilting. Literally thousands of prints are available in quilting cotton. Due to different manufacturing styles, quilting cotton does come in different weights. Yes, you can use quilting cotton as apparel fabric. The main thing to remember is that quilting cotton tends to be stiffer than apparel cotton. It isn’t particularly soft and has a stiff drape. It works best when made into structured garments. The fabric is sturdy and holds up through many washings. In general, quilting cotton makes very casual garments and is utterly adorable when made into simple little girl dresses. You’ll find that sewing with this fabric is incredibly easy. It’s easy to cut, doesn’t slip and slide, it holds a crease and irons nicely. See why it’s popular with quilters and sewers alike? Shirting cotton comes in four different types of weaves: satin, oxford, twill and plain. In general, shirting cotton is a lightweight fabric. It comes in many colors and the prints tend to be limited to stripes and plaids. There are, of course, other kinds of prints available. A tour of the shirting section at your local fabric store will show you that shirtings favor masculine styles. Although satin shirting is a little slippery, shirting cottons sew up as easily as quilting cotton. Garments are usually limited to shirts and pajamas as it’s too lightweight and crisp for dresses. Cotton denim is a fabric we’re all familiar with. 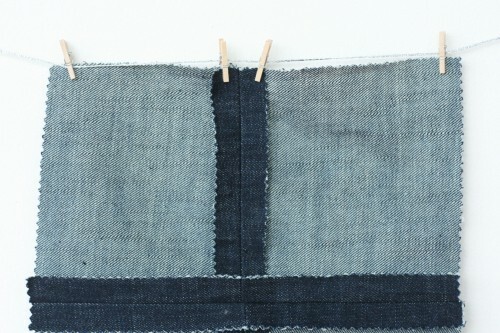 Made with a twill weave that’s visible from both sides, denim is usually a heavy weight fabric. It’s very stiff and makes good jackets, pants and simple skirts. Lightweight denims also have a stiff drape but can be made into simple dresses and shirts. I never understood the uproar over quilting cottons. Sewing is such a preference thing, a personalization of an inspiration, pattern, or idea. If quilting cotton gives you a look that makes you happy, go for it. Or maybe it’s because I’m a cheap heifer who blanches at the idea of paying apparel cotton when quilting cotton is so easily and less expensively found. I think that’s why it’s controversial. Some people feel the way you do, while others feel the opposite. Here’s what I think (not that you asked! ): A lot of sewists don’t have access to much beyond quilting cottons in their local stores, and a lot of newer sewists are attracted to the cute prints and don’t venture beyond them. I think the problem comes when they look at their garments and wonder why they all have the same sort of look. If they haven’t experimented with different fabrics, they can’t really learn about drape or how to achieve different looks with different fabric types. I think this can be really really frustrating! Yes, why is quilting fabric “controversial”? That statement should have been explained. Is is because the fabric is rougher than the average sewing cotton? Or because some of the patterns are considered too naive or childlike to use in adult garment sewing? Because it’s arguably wasteful or counter to the spirit of the craft? Quilting fabric is a product specifically made for projects that in the past were made from old, saved fabric? I think she explained it when she said that it is stiff. To add slightly more detail, quilting cottons use short staple fibers, and therefore do not drape as well as apparel weight cottons. It is manufactured to be sturdy (perfect for quilts) rather than to hang well. It’s not a bad thing, it’s just what it’s made for. Controversial merely means that there are opposing viewpoints, not that it’s bad. my take on the ‘controversy’ echoes Sarai’s comment – i find that a lot of seasoned garment sewers have strong feelings against using quilting cottons for garments. Perhaps the strong negative feelings are particularly about quilting cotton producers and fabric shops suggesting that q. cottons are appropriate for garments without outlining which kinds of garments they might be appropriate for. I imagine they might be okay for a-line skirts? what about quilting cottons cut on the bias? I agree with Sarai, as a garment sewer, it is very frustrating that the majority of fabric available is quilting cotton. Quilting is dominating the sewing world and it’s messing with those of us who prefer to perfect the art of clothing design and production. i have a quilting cotton q – and it refers to the negroni pattern. Would quilting cotton be appropriate to use to accent the shirt? I’m using shirting, but am thinking of possibly using Kona quilting cotton for: the underside of cuffs, inside of collar stand (i drafted one, following peter’s instructions on sewalong), undercollar, maybe the facing, inside pocket flap I’m drawn to Kona cottons because of the colour availability – matching/finding great contrasts will be easy. Would Kona cottons or other quilting cottons be appropriate for these garment uses? 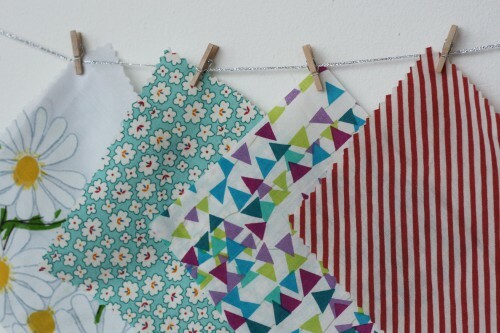 I’ve love to find a way to incorporate the fun quilting cotton colours and prints into my garments. Can one make bias tape from these wonderful cottons for trims? of are they just too thick? Lissa I fond that Kona cottons are quite thick and stiff, and do not hang nicely for garment sewing – but I think you have the right idea using it for facing, etc. I’ve made bias tape with Kona cotton as well but find it doesn’t “curve” well around tight spots like little children armholes – too thick! The color palette is dreamy though – so many colors! As a mother who sews clothing for her children, household things and quilts a little on the side I went straight to my quilting cottons when I wanted to branch out into sewing for myself. One garment later I figured it out. Quilting cotton really isn’t the right fabric for a lady’s look at all! thanks for your response, SR! especially for your insight re: making bias tape from the stuff. i was thinking of using kona because a local fabric shop stocks all 200+ colours! I have to agree wholeheartedly with ali. I do find that quilting cottons are being outrageously produced where apparel fabrics have taken the back burner. That’s not to say that I don’t like quilting fabrics. They are fun and some of the prints are just fabulous. I’m just wondering why we can’t convert some of the prints to different types of fabrics like silk, while still keeping them in the affordability range. I realize that you can do this on Spoonflower, but paying $38 for silk per yard is just a tad out of my price range. I actually did a write up on use quilting cottons for apparel last year and one of my readers mentioned that quilting cottons don’t “wrinkle” right for apparel. Couldn’t agree more. I realize it’s because of the short staple fiber, but they do tend to look a little strange for certain garments. That said, they can make really fun skirts and they can be used for home and even sewing tool decor. In general they have more of a crafty feel too. And I have to admit that sometimes wearing them can look a little bit cutesy and clownish – at least on me. Great post and fabulous discussion! I’m so thankful you have a snippet on fabrics. I’m just getting back in the last year to sewing again. I’m am more or less a self taught sewer only having had home economics when I was in 8th-9th grade and that was only under duress. But, went on to teach myself. So learning all these valuable things on your blog is something I very much appreciate. I love this series on different fabrics, it’s so easy just to clump things together without learning all the little differences and when to use the proper fabric. Thank you for the article and the comments. I used to sew more but fabric has become expensive. Now I quilt and honestly I didn’t know the difference between the cottons. Thank you. I learned alot today! Voile can be pronounced to rhyme with oil or to rhyme with toile, as in the original french. That would be VWAL. Thanks so much for this blog, and for all your lovely patterns! I’m loving this discussion: after a year of re-acquainting myself with sewing basics (and working with lots of quilting cottons! ), I’m ready to move on. Just had a couple of quick cotton-related questions–are cotton lawn and voile essentially the same type of fabric? (Often they come up together in search results at online fabric stores). It seems like lawn is just marginally more substantial (and slightly less see-through) than voile, but I’m not sure if this is correct. Also, I often get confused as to the difference between cotton poplin and sateen. It always seems to me like sateen has a smoother feel, while poplin has a bit more body, but sometimes I wonder if they are interchangeable for something like a basic skirt pattern. I’m really trying to learn to choose the right fabric weight/body/drape for different patterns, but always have to laugh when a pattern offers the generic recommendation to use “laundered cottons” because it seems like that covers a lot of territory! I do love the feel of cotton fabric (in spite of all the ironing required), but have definitely learned the hard way that quilting cotton doesn’t always have the same look or feel in a finished garment as an apparel-specific cotton fabric will. That being said, I think quilting cotton can work very nicely in certain specific apparel applications such as children’s clothing, aprons, etc. Thanks again for the wonderful and informative forum! Voile and lawn are similar in that they’re both lightweight. However, lawn has a crisper hand and generally has a higher thread count. And yes, lawn is less sheer, generally speaking. Poplin and sateen are 2 different types of weaves, poplin having a very subtle ribbed or corded effect – if you look closely, you can see it but it’s not something that you can feel. Sateen is a smooth weave and feel, as you’ve noted. It’s meant to imitate the feel of satin. The main difference in these two is pretty much the drape – sateen is softer, whereas poplin has a crisp, slightly stiffer feel. It’s important to note that more and more manufacturers of quilting cottons are making series of prints in poplins, lawns and voiles. Alexander Henry has a line called “Fashionista” which has nice prints on cotton poplin. Thanks for the clear explanations and for the tip on Fashionista (A. Henry). I had seen the Alexander Henry cotton lawn (Fulham Road) but not the poplin, and just looked it up–what gorgeous prints! I understand about the lack of good apparel fabric. I quilt and sew other things occasionally, but my MIL makes a lot of my 4 kids church and special occasion clothes. We almost always end up using home decor fabrics. They have many satiny type fabrics. Some of the fabrics (cotton toiles) are a tad heavy, but still work well for my 4 hard-wearing kids. They always look fabulous and get tons of compliments. I would like some advice to what kind of fabric would be best for a casual pair of trousers ? I have denim and would like something for the hotter weather that I can just “bop around town in”. Any assistance you could offer is very appreciated. Hi Elise, I’m no expert, but I find that linen pants, cut slightly loose, are nice for hotter weather. The downside is that linen can get quite wrinkly. I’ve read that cotton/linen blends are cool and not too wrinkly, but haven’t tried for pants yet. If you google ‘pretreating linen’ or similar, you will find a few blog entries that explain how to minimise wrinkling. Or there is linen that is supposed to be crinkly, if you like the look. HTH. I’ve been following your fabric series for weeks – first – thanks!!! Since I’m primarily a quilter I thought I’d comment on the post today. I get so excited when I see the resurgence of sewing these days, and the number of new fabric companies is staggering. But, we need options in our sewing to avoid that “homemade” look that quilting cottons lend to a sewn garment. I’ve got my daughter at Parsons following this series as well. Hi there. I found this page by googling around for information on quilting cotton. It’s been many years since I’ve sewn garments for myself (except for Halloween costumes) and I want to get back into it, and also sewing for my home. I came across “quilting cotton” on eBay and, besides not knowing what it was, wondered if it would be good for making pillow cases and shams for my bed. Sounds like they would wash well, but would they be too scratchy? And if they’re not the best choice, what kind of cotton should I look for that would be nice to sleep on and easy to care for? Great blog… thanks! I am a newbie, and I just drafted my first A-line skirt pattern. I want to recreate a skirt I used to have, and I’m not sure which type of cotton I should use. I think it was voile or batiste (I’ve never felt these fabrics in a store, so my guesses are based on what I’ve read online). It was a brown soft cotton fabric, slightly sheer, and it was lined in the same fabric (which took care of the sheerness). There were ruffles at the bottom, and it had a nice drape. I thought it was voile, but now I’m wondering if even too layers of voile will be too sheer. Maybe it was made from batiste and lined in the same fabric? I would appreciate any advice about which cotton fabric to choose for the main and lining fabric. Thank you so much! I have been learning so much from your articles and reading the comments – what an incredibly helpful community! I have made a dress of swiss dot batiste lined with plain batiste. It takes care of the sheerness and of the heat, it is really fresh. I think two layers of voile would steel be too sheer. If it draped well, it was probably cut on the bias! I found this site when googling “laundered cottons” as I wanted to know exactly what that meant on the back of a pattern. I mostly make kids clothes from quilting cotton and for that purpose it works fine however, I’ve made myself a couple of skirts from quilting cotton and I do find them a little stiff and they don’t drape that well. A lot of quilting fabric descriptions on fabric.com say they’re perfect for quilting, crafts and apparel. It gets a little confusing and hard to choose when you can’t feel the fabric before buying. Some of the Amy Butler fabrics have a “soft hand” so would you say these would be good for making dresses where I want it to drape nicely? I don’t want to buy cotton that looks too stiff. The pattern I’m looking at has fabric suggestions of laundered cotton, sateen, crepe de chine, laundered silk rayon and a few others. I don’t want a shiny fabric though. I also found a pretty Amy Butler cotton sateen. This was a really interesting read. Thanks. Does anyone know if white 100% cotton quilting fabric will take fabric dye well? Specifically Procion MX type dyes? I am looking for a thin, non-translucent white fabric I can dye a very large image into and the quilting fabrics are available in the 90-103 inch widths I need. A few years ago I was in a quilting shop and was suddenly struck by how weird it all was. In “the olden days”, quilts were made out of scraps left over from dressmaking, or rescued from worn out clothes and textiles. Quilting was a thrifty way to get a warm bedcover or insulate a jacket for almost nothing. I do believe there was no such thing as “quilting cotton”. Now factories in China are churning out bolt upon bolt of fabric, for well-off people to pay large-ish sums for, snip into little pieces and make quilts out of. Some of the quilts don’t even get used. And garment sewers find themselves with only quilting cotton to sew with! Ho hum, it’s a funny old world.